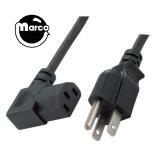 "Plug - AC 110 volt power cord" has been added to your cart. Heavy duty 3 prong grounded 15 amp 110v AC power cord replacement plug. Use to repair damaged AC power cords. 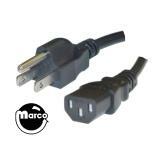 It's very important for safety and proper machine operation to have all power cords with a functioning ground prong.